It’s the end of January and we have only had one measly paltry snow! Come on snow… where are you? I’m one of those rare people who loves a good big snow storm! At least one before spring! If you have seen snow in your area will you please send it in my direction? Today I am finally getting the cast off my left leg!!!! That means I can get out of this wheelchair and get busy again! I’ll be in a boot for another 4-6, but no problem!!!! 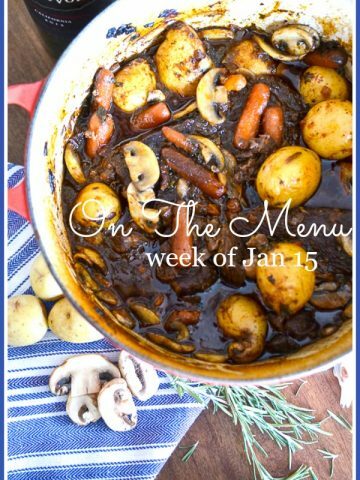 I love love love hearty winter meals like stews and soups. 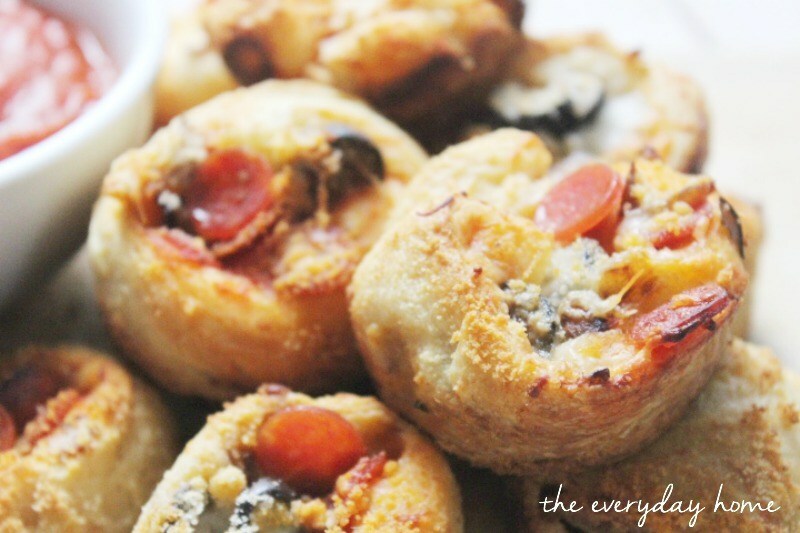 They are easy to put together and cook and taste so warm and comforting! I’m making a family favorite today! My Nani made sauteed chicken and so did my Mom but this recipe goes even further back in our family! It’s been passed down through the generations! 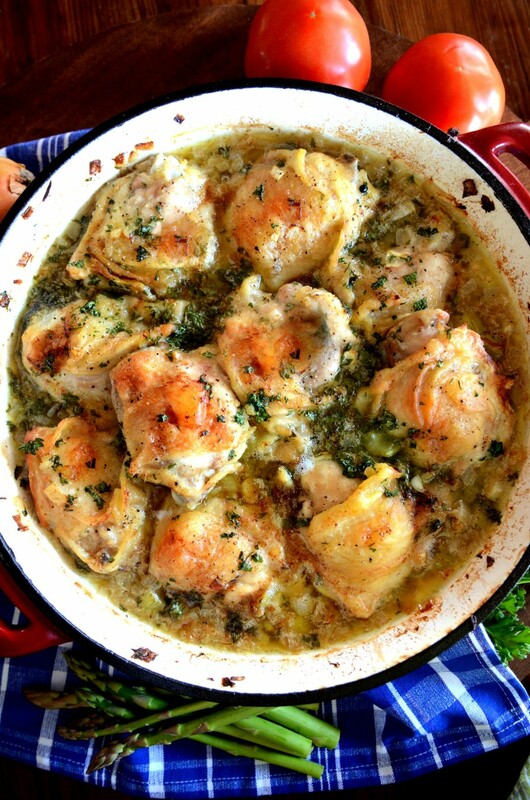 I call Nani’s Sauteed Chicken a heritage recipe! Today is a VERY SPECIAL day at StoneGable! I am starting a new venture in decorating with two of my best blogging friends, Anita from Cedar Hill Farmhouse and Kelly from My Soulful Home. And it’s with you in mind! It’s also free and fabulous and fun and hopefully will give you hours and hours of learning and spending time with us!!!! Make sure to stop by StoneGable on Wednesday to learn all about it…. and BE A PART OF OUR NEW VENTURE TOO! Happy Groundhog day!!!! Here’s hoping for lots of snow and an early spring! Thursdays are super busy for me! So I usually like to take a meal out of the freezer. And in our house that means soup. As you probably know we are such big soup eaters!!!!! 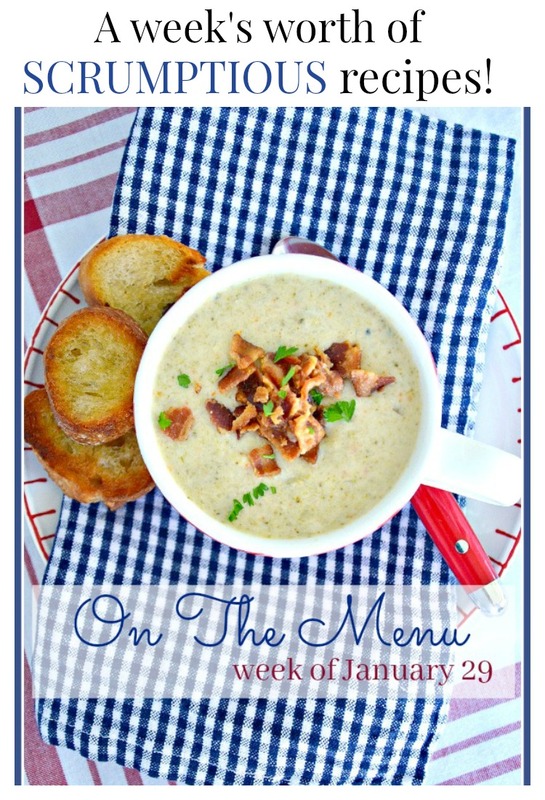 I always have a stash of yummy soups stored away in my freezer. 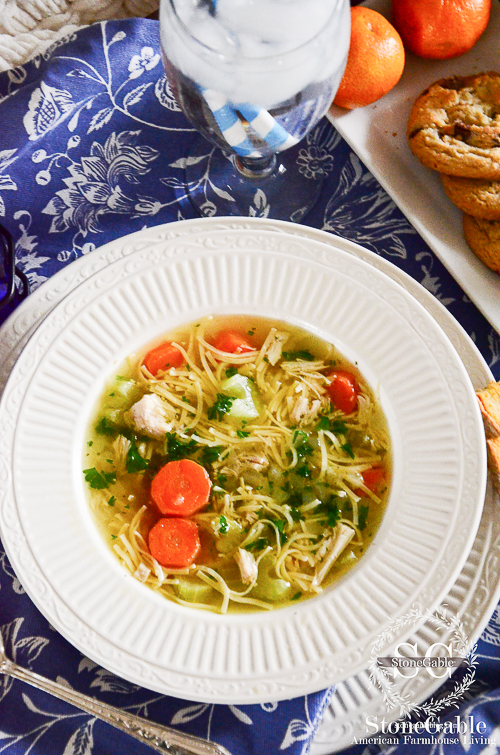 The Best Chicken Noodle Soup You Will Ever Make! 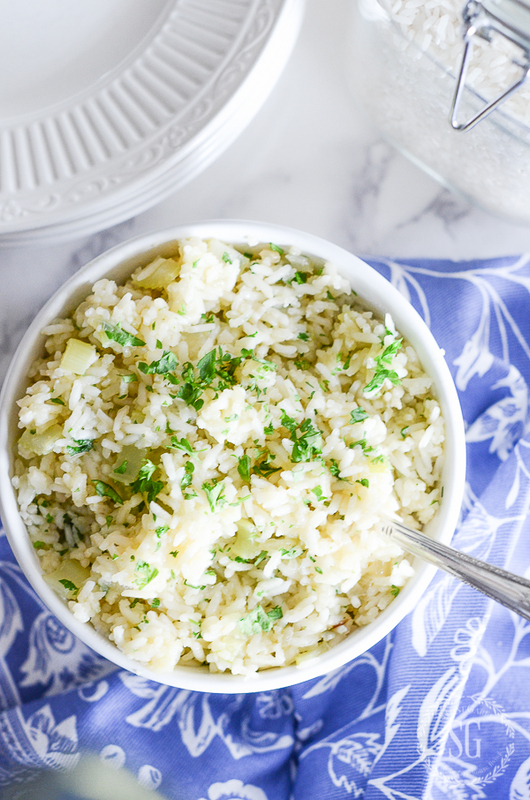 If you make one thing on the menu this week you should try the Sauteed Rice. 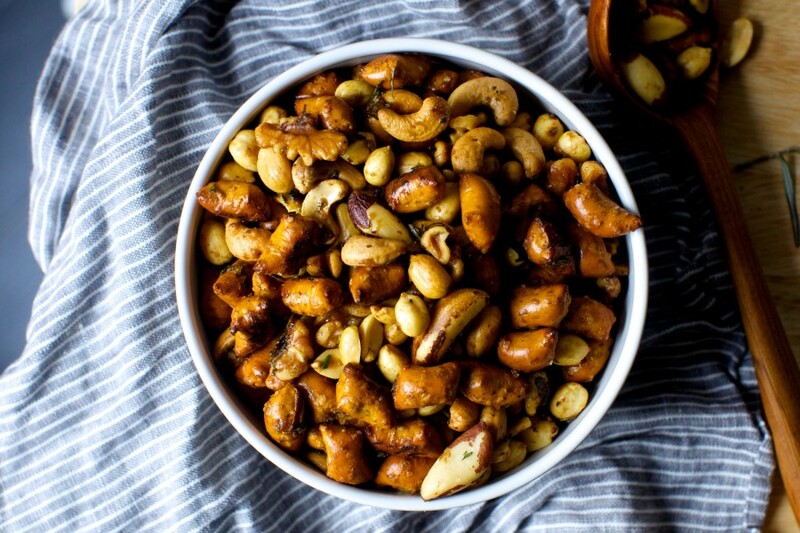 My Nani taught me to make this recipe and it will rock your side dish world! Saturdays are always special days around StoneGable. We are big home DIYers so you might find us ripping up a floor or building shelves or painting furniture or walls! Or we might be relaxing with friends watching football or spending time with family! Most of all I love having the day with Bobby! Here are some items I used in my kitchen to make these meals. Click on the image to see the products. You might like to follow me on Pinterest and see what I’m finding to pin every day HERE. I hate to plan menus. Thank you for giving me ideas! I’m new to your blog. Love Love Love it. Will definitely prepare this dish. Thanks for all your ideas. Welcome to the StoneGable family! Yvonne, I know you are soooo glad to get the cast removed: people who like to do can’t be held back…lol! Thanks for more great recipes. 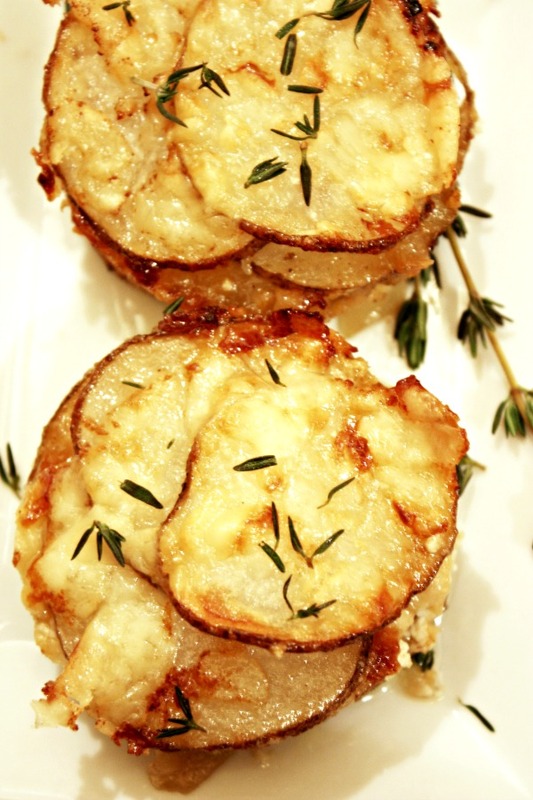 I made your potato stacks…yummy! I’ve got to try the chicken recipe. My prayers for quick healing. All of these menus look delicious. I especially will try the onion potato stacks. Congrats on your cast removal. The boot is so fashion forward. At one time 4 of us women at church had one. Can not wait to try several of these wonderful recipes. so glad you brought back On the Menu. Cannot wait to try the coleslaw. 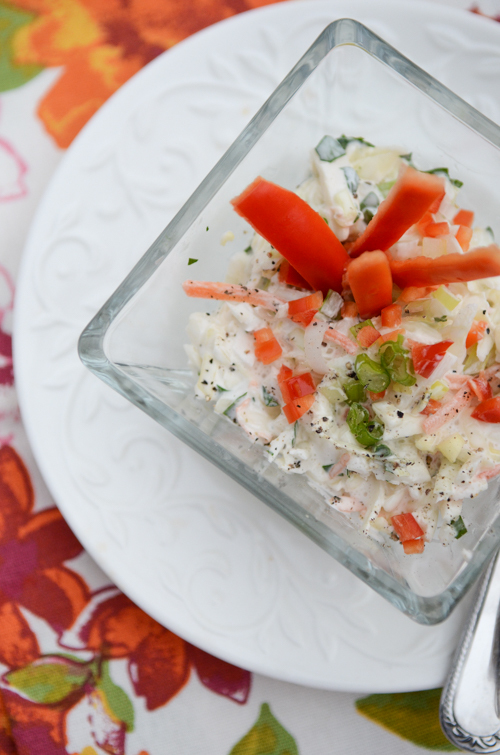 My husband and I both love coleslaw and are always up for one with a twist. You are healing, broccoli cheese soup in crock pot, life is good. I’ve made your cole slaw before and it is delicious! I’ll have to make it again this week and try that fish and chips recipe. Glad to hear you’re getting your boot today; yea! Hi Yvonne, So happy to hear your cast is coming off!! YAY!! I have to say, I too hope for an early spring, but you can keep the snow! 🙂 I live on Florida, so snow for us would be a huge mess. Hope some comes your way though. Enjoy your day! I set my weekly menu each Monday morning and start here. This week I making your Nani’s Sautéed. I’m, also, glad you brought back “On the Menu”. Challenges me to keep my menu fresh and avoid getting in a rut. Thank you. Those potatoes on your Saturday menu look yummy. I will have to try those. Sorry, Yvonne! I can send you a bucket of sand if you like. We are people who escape the cold and snow — snowbirds. There are disadvantages, though. I’m not in my kitchen with all of my equipment. Anyway, I’m glad you are going to be more mobile. Now, be more careful!!!!! Have a great day. I’m glad you brought your menus back as well. I’ve missed them. If nothing happens, I’ll be making your broccoli soup this week. Love your recipes. Kinda sad when being in a boot for weeks is good news, isn’t it?! Sure beats a wheelchair and I am glad you are making progress. Tough deal for you. The menu looks yummy. I did make your Nani’s chicken a while back and it was good. So glad the menu is back on your blog. We had snow streamers coming off of Georgian Bay across Lake Simcoe this am, could hardly see outside my windows but about 20 minutes later had blue sky an sunshine. So glad your case is coming off just take one day at a time ? Just a few hours now! Not walking in over 6 weeks is hard! This menu sounds spectacular! I made your chicken noodle soup yesterday and can I say scrumptious! We loved it & I will be making it many more times this winter. Thanks so much for sharing all your wonderful recipes! Your recipes look amazing! I can’t wait to try some of them! All your recipes look wonderful. I’m going to try them all! I’m so happy for you! Getting out of the chair is a big step in the right direction. I’m trying Nana’s Sautéed chicken recipe. Perfect for a family meal. I’m with you, where’s the snow!! Love it I made your Man I’d chicken yummy. ******Autocorrect strikes again!!! Not Man, Nani’s! I have to pay attention. 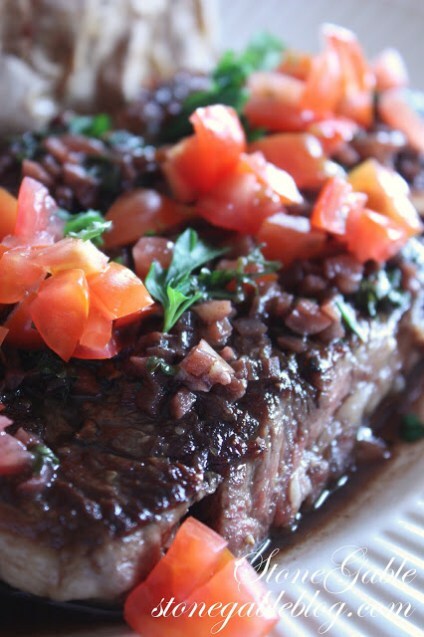 I am getting hungry just looking at the photos! Would love to try these soon! Thanks so much for sharing with us. So happy you brought back the weekly menu. I so enjoy reading and seeing the beautiful pictures. I have made Nani’s chicken dish. It is fabulous. Everyone who has tasted the chicken wants the recipe. I know! So simple and so delicious. My Nani was a good cook! Can I come for dinner,everything looks wonderful ! Yum, I am salivating , because these dishes looks so yummy. Happy to hear that you are on the road to better health and healing. I want to eat it all. Have you substituted chicken breasts in Nani’s chicken. Going to make her rice too. 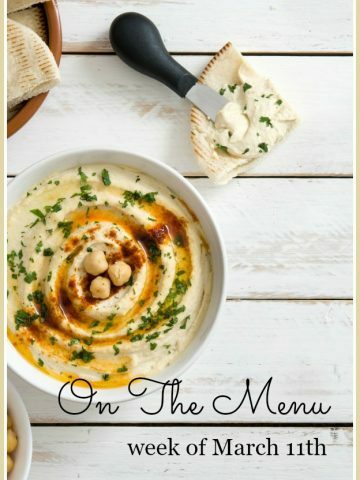 So glad On The Menu is back!! You are such a great cook and I love new ideas to cook!! Glad you will be wearing a boot and getting rid of the cast. Looking forward to your “reveal” on Wednesday. Congratulations on advancing to a “blue boot” for mobility. 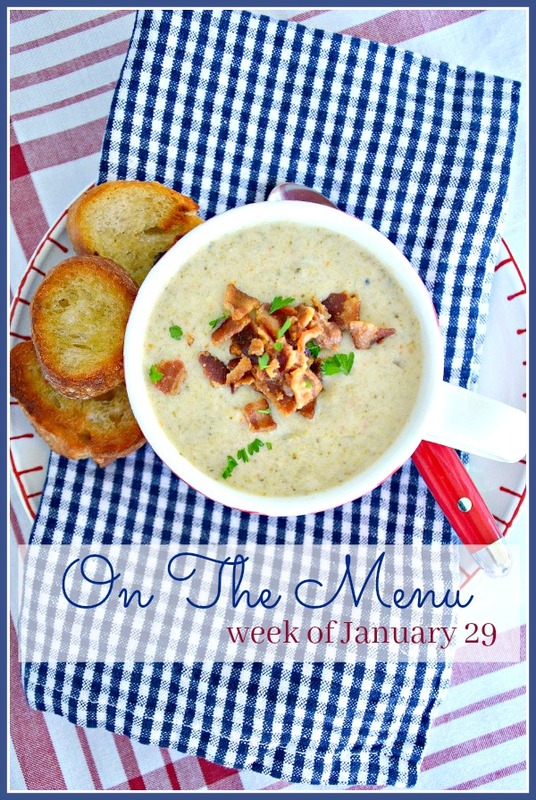 Slow Cooker Broccoli Cheddar Soupwill be on the menu for Super Bowl Supper…along with the Bar Nuts for snacking. Thanks! Ok I have to try all of these! Yummy! Yes, so glad your cast is coming off. Meals look yummy! 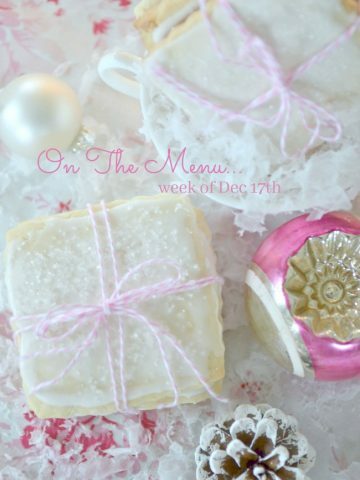 Love your weekly “On the Menu” meal plans!!!! Thank you for inspiring and delicious recipes!!! I can’t wait to try several of these recipes! I think I would love the potatoes on your Saturday menu! Wishing for snow here too!! 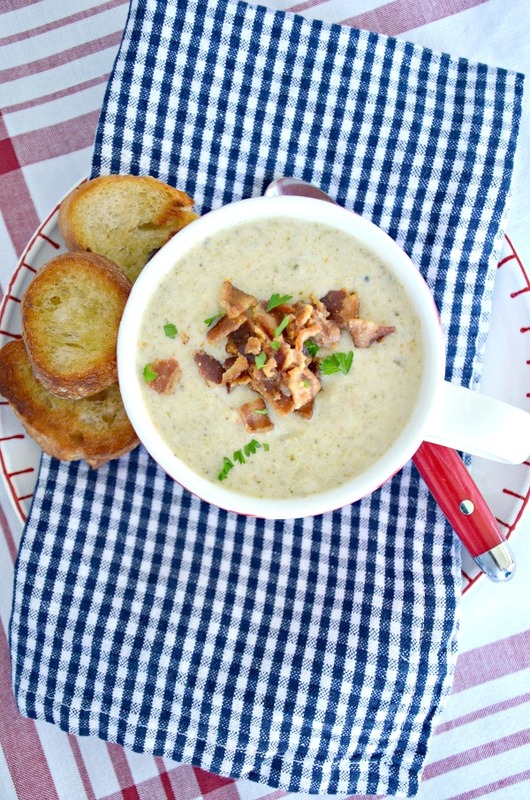 Can’t wait to try the slow cooker Broccoli cheddar soup. Your stuffed potato soup was delicious! Thanks for this weeks recipes. Oh my! Nani’s chicken sounds delicious! Thanks for resolving my “what’s for dinner tonight?” dilemma. Yum! Just started my meal planning a couple of weeks ago I can tell it helps with grocery shopping and my attitude toward cooking! As I said in the readers survey, thank you for bringing back the weekly menus post. I appreciate it so much. It helps me with my meal planning and simplifies my life big time. These recipes sound delicious.. Thanks for sharing them. Glad to hear your healing and moving forward.. Don’t over do it.. Thank you for the help with meal planning. 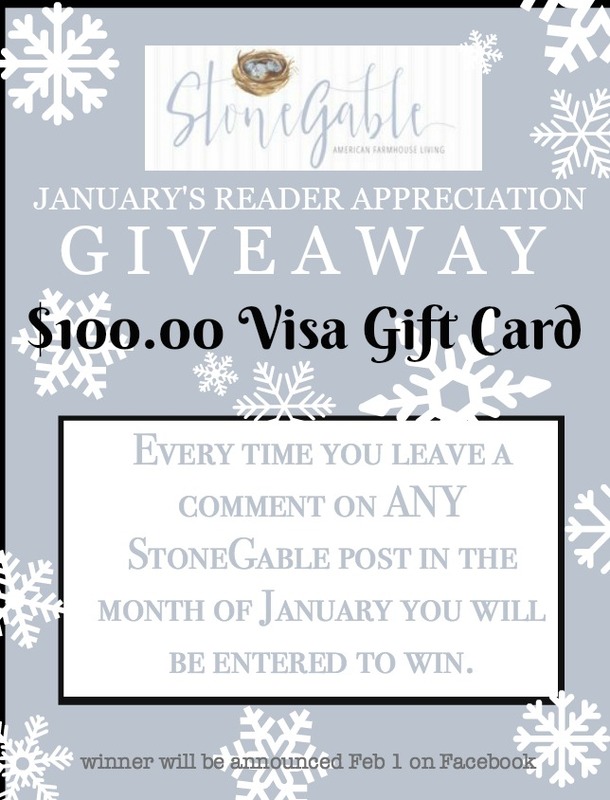 I am a new subscriber to Stone Gable and have been thoroughly enjoying all your posts. Welcome to the StoneGable family Jacqui! 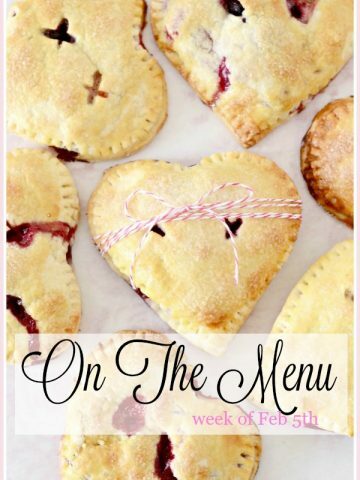 Love these weekly menus! Ive made your cole slaw and chicken noodle soup before and they are SO GOOD! Thank you so much Yvonne for taking some of the guesswork out of meal planning! I’m looking forward to Wednesday! I am so glad you brought back these Menu plans. I was really sad you decided to let them go as they always were so inspiring and yummy. Thank you so very much for bringing them back again! All these meals sound yummy – am so glad your cast is coming off – congreats on your new freedom.